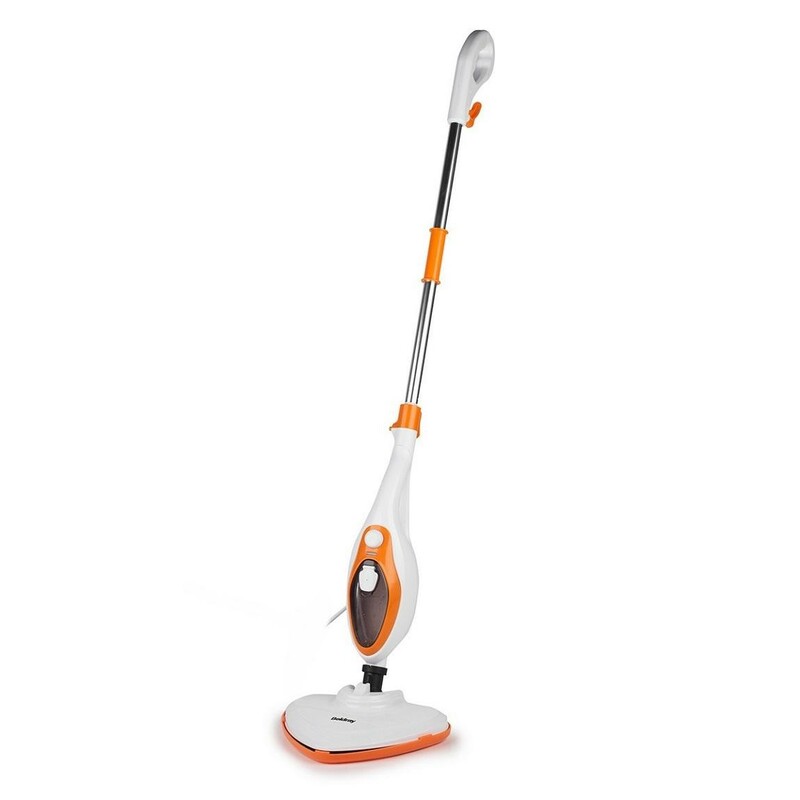 Keep your home clean and pristine with this Beldray steam mop. With it's clever 12 in 1 design you can make light work of all the household cleaning tasks, featuring a 350ml water tank so no need to refill as often and a 5 metre power cord allowing you to carry on cleaning without having to unplug constantly. The water tank provides between 15-20 minutes of continuous steam cleaning and it can be used as either an upright for the floor or handheld for windows and kitchen appliances.